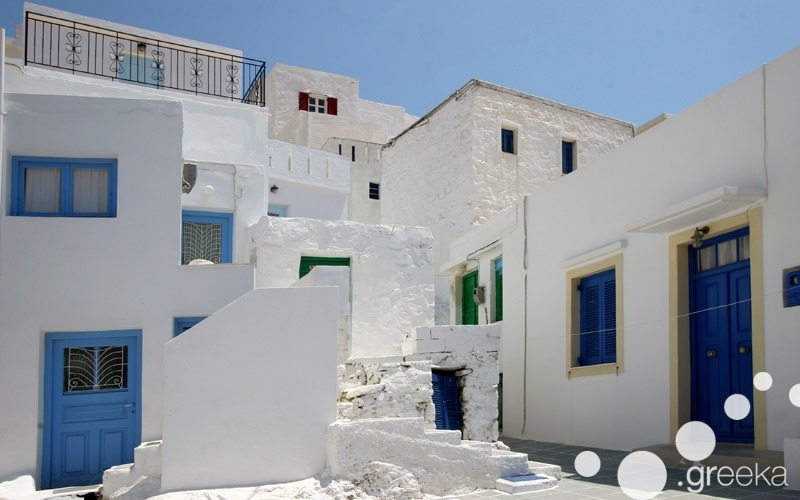 Cyclades architecture: what makes it so special? 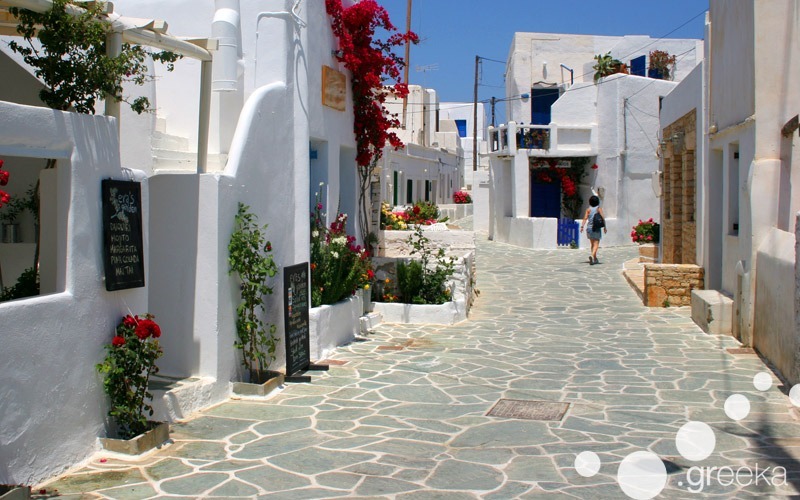 The typical Cyclades architecture is what have made this island group so famous around the world. The sugar houses with flowered gardens, the white walls, the blue-domed churches and the paved paths create a fantastic fairyland to walk around and admire beauty in simplicity. Houses in Cyclades islands have been built with plain constructive elements in order to cover the main daily needs, but they are considered wonderful works in terms of aesthetics. As piracy was a very important problem for the Aegean islands in the Medieval era, architecture had an evident defensive style. Houses were surrounded by strong castle walls, while villages were built in high altitude away from the sea, so that they could timely spot pirate invasions. Important factors that affected Cyclades architecture was the environment, climate, water shortage and landscape. The villages had no architecture plan at all, but developed according to the local territory. As there was no wood available in the Cyclades islands, beams were rarely taller than 3 metres and houses had only one floor. Residences usually had south eastern orientation so that they attracted natural light. The walls were 60-80 cm thick to retain the desirable temperature: heat in winter and chillness in summer. 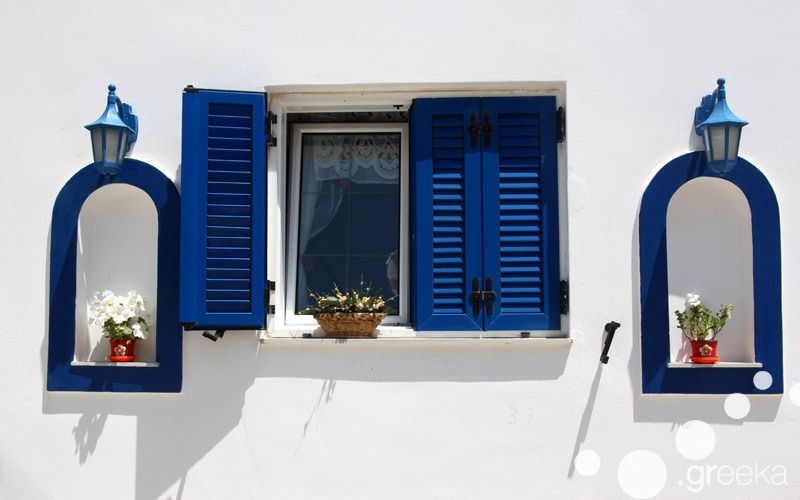 For the same reason, houses would almost always have a small window on the northern side to keep the interior temperature chilly in summer, due to the fresh northern breezes (called meltemia) that blow over the Cyclades islands in July and August. Surprisingly it was a Greek prime minister, Ioannis Metaxas, who ordered (1936) to paint the Cyclades islands in white and blue colours to symbolize the white wave foams of the Aegean Sea and the blue of the Greek sky. However, the white color of the walls also serves a more natural need, because the white colors reduce the sun absorption during summer months. 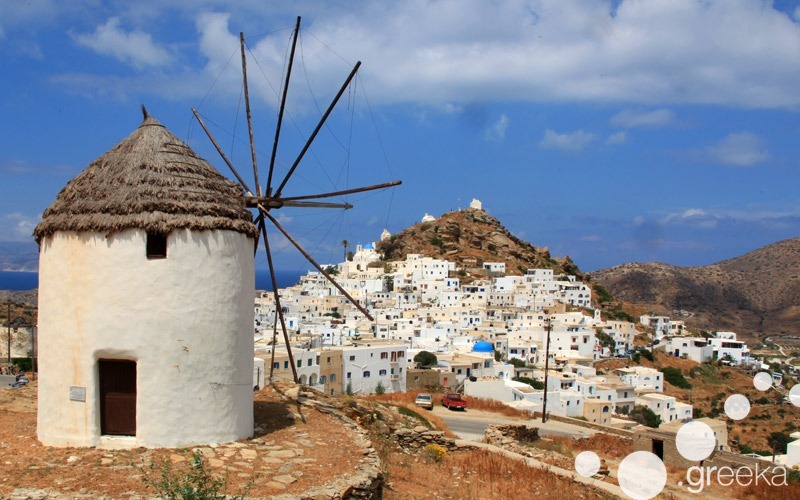 Very characteristic features of the Cyclades architecture are the traditional windmills, used in the past to grind the grain. Almost every village had its own windmill until few decades ago, but today technology has made them useless. Therefore they were either left to ruin or got restored. Nice windmills are seen on the hills of Mykonos, Ios and Paros. The Cycladic churches also form a special chapter in local architecture. 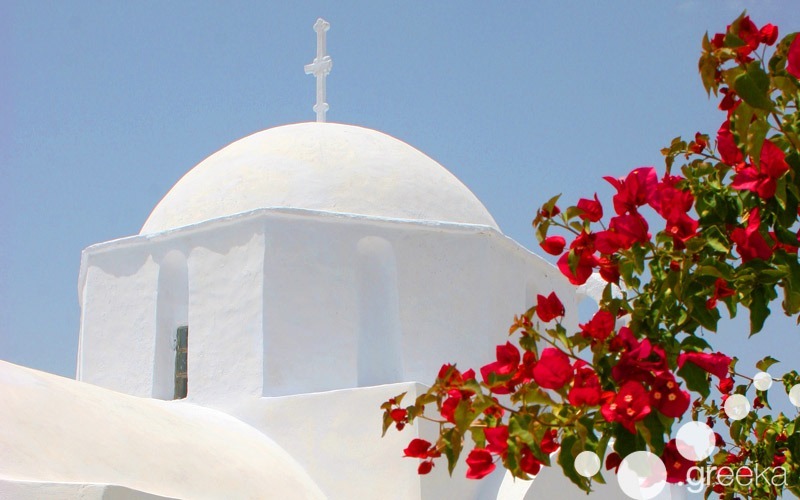 Countless churches are seen almost everywhere, in all the Cyclades islands. Commonly they have white walls and blue or white domes. Varying in style, from large cathedrals to tiny chapels in the countryside, the churches of Cyclades form an integral part of the local culture. 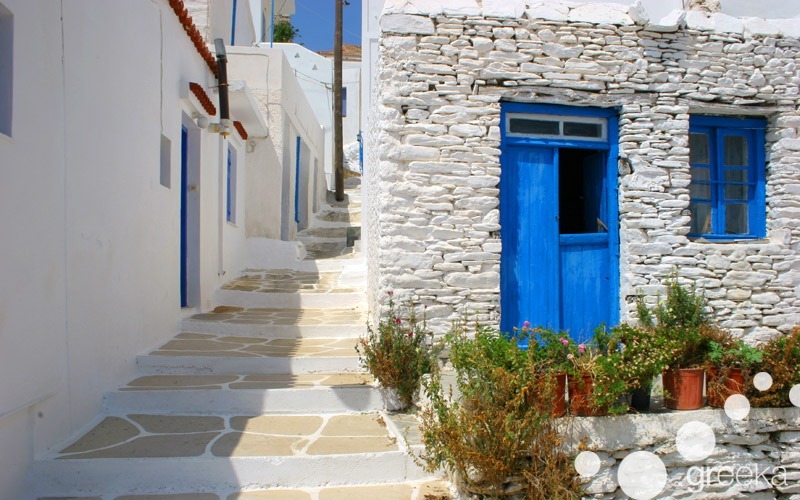 Although the Cyclades architecture has some general common features, naturally each island of the group has something special and unique, depending on its local characteristics. 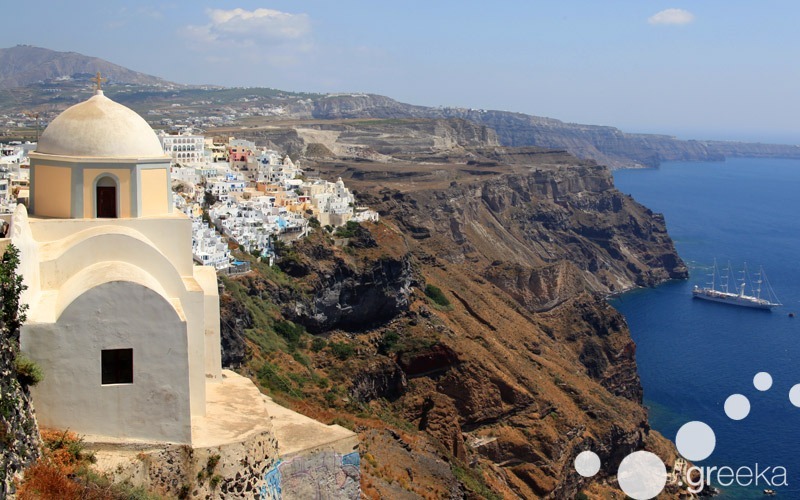 Santorini island, for example, has developed villages on the edge of the caldera cliff as well as cave houses that protected the interior from direct sunrays. Due to the Venetian conquest in the Medieval times, there are many impressive tower residences in the islands of Naxos and Andros. The long marble tradition of Tinos island has nicely decorated the house exteriors and yards. Kythnos and Kea have red-tiled roofs, Ermoupolis Town in Syros has elegant Neoclassical buildings, Milos has typical houses called syrmata where fishing boats are stored in winter, while Serifos has industrial buildings due to the intense mining activity in the late 19th century. 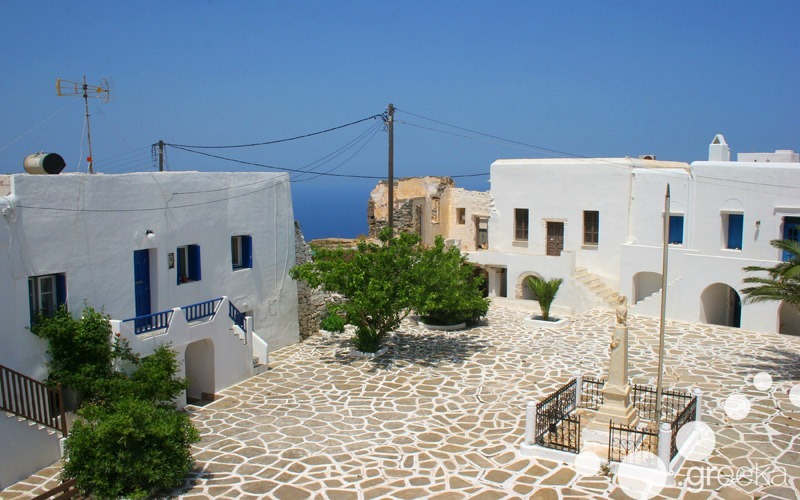 In each island, Cyclades architecture is nicely combined with local history and culture.